Free public event to explore new findings at popular attraction to take place on Saturday 27 June. 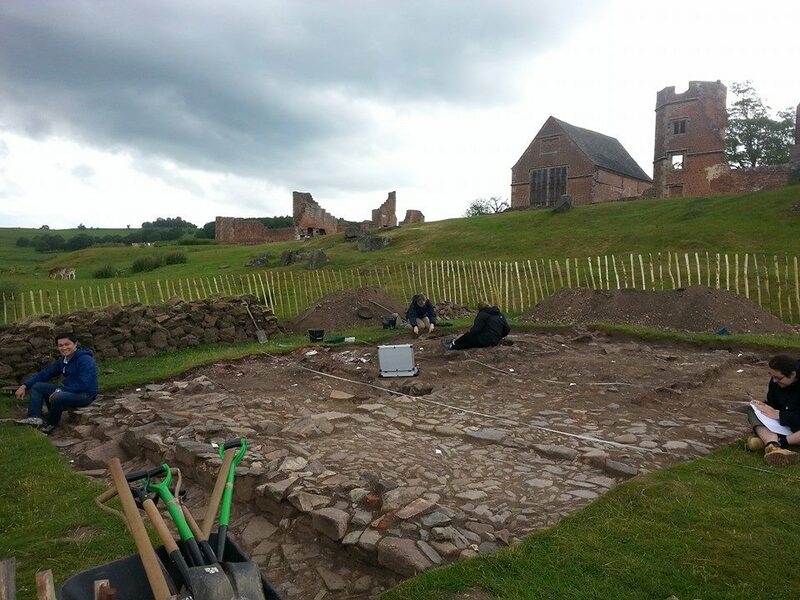 Come and learn about the latest archaeological discoveries being made at Leicestershire’s Bradgate Park by School of Archaeology and ULAS archaeologists during a free family Open Day on Saturday 27 June, between 11.00am – 4.00pm. The many mysteries of Leicestershire’s 850-acre deer park will be explored by the archaeological team over the next five years with the launch of a fieldschool, where academics, professional archaeologists and students will work together to uncover the hidden history of this popular attraction, best known as the location of the birth place and childhood home of Lady Jane Grey – the ‘nine days Queen’. Archaeology students excavate Trench 6 in front of Bradgate House. Speak to the archaeologists involved in the excavations and see some of the objects that have been found. Dig for treasure in dig boxes. Meet a medieval knight and lady. See the flint knapper and make coil pots and arrowheads. Find out how to make prehistoric bread and mead. Watch medieval tile making and building technique demonstrations. The project will also include a programme of outreach delivered to primary, secondary schools and A-level students enabling them to visit the excavations and take part in hands-on activities to raise awareness of and inspire engagement with their local heritage and archaeology. The free family Open Day takes place on Saturday 27 June between 11:00am and 4:00pm for members of the public to learn more about their discoveries at the park and there will also be an end of season excavation tour on site on Saturday 11 July as part of the Festival of Archaeology.